We recognize that being the parent of a “Chromebook student” can be frustrating at times. While few students would sit and do worksheets all evening just for fun, it may be that your student does want to work on their Chromebook all evening. When they are staring at a device screen, it may be hard to distinguish homework from entertainment. This page offers some strategies that parents may find helpful when making these nightly decisions. LPS supports the implementation of digital curriculum and systems for learning by ensuring teachers, students, staff and administrators have persistent access to a computing device sufficient to access and leverage these resources. The device for students grades 2-12 is a Chromebook. Students in grades 6-12 take the device home with them each night. Carefully transport your Chromebook when traveling between classes or between home and school. Avoid placing weight on it, and never throw or slide it. Be careful not to expose it to long-term temperature extremes, which means an automobile is never a good place to store it. Chromebooks that are assigned to go home come with a school issued case/sleeve. The purpose of the case is to protect the device while it is being transported. When not in use, closing the Chromebook lid will save battery life and protect the screen. The Chromebook must be transported in the protective case at all times. No stickers should be attached to the case unless placed there by LPS district staff. Students that take their Chromebooks home are responsible for charging the Chromebook each night using the provided charger, ensuring that it is ready for use in school each day. Failure to do so may result in the student’s inability to participate in classroom learning activities. The screen is the biggest draw on the battery of a Chromebook. To extend battery life reduce screen brightness and close the lid when the Chromebook is not in active use. Other activities that use more battery than normal are watching videos and playing games because they require rapid screen refresh. Reducing the amount of time spent on these activities will also have a positive effect on battery life. Never place a Chromebook in a book bag that contains food, liquids, heavy, or sharp objects. Its screen is vulnerable to cracking and breaking. Never place heavy objects on top of it or drop it. The Chromebook screen can be cleaned with a soft, slightly water-dampened, lint-free cloth. Avoid getting any moisture on the keys or other openings. Do not use window cleaners, household cleaners, aerosol sprays, solvents, alcohol, ammonia, or abrasives to clean the Chromebook. LPS Chromebooks are able to connect to the Internet from wireless networks (Wi-Fi) at home or in public.To access the internet from a non-LPS network, the Chromebook must first authenticate to our filter. If the device does not authenticate to our filter it will run in “Offline Mode” and apps may not behave as expected. This resource should help if you experience any issues connecting to Wi-Fi while away from LPS. You can use many types of files on your Chromebook, like documents, PDFs, images, and videos. Almost everything you work on for LPS will be saved in your Google Drive or another LPS tool. However, you can choose to save your files to your Chromebook’s hard drive, or an external hard drive. This support page from Google should help you with all of these possibilities. While the Chromebook thrives with an internet connection, one is not required for the tool to be valuable and productive. Many Google and Chrome applications (including Google Drive, Docs, Sheets, and Slides) allow for offline access. This will allow a student to work offline and sync to the network drive as soon as they have network access. Offline access (either by way of a Chrome app or files on the device) has been and will continue to be an important consideration in the selection of digital curriculum resources. Accessing files from Google Drive on LPS Chromebooks when no internet is available requires users to enable “Offline” in their settings and allow Google Drive and the Chromebook enough time to sync files. Instructions for enabling offline mode, starting new work, and other offline tasks can be found here. LPS Curriculum Specialists, school administrators, and teachers will endeavor to include opportunities for students to access curriculum content and complete assignments regardless of Internet access. LPS is actively engaging the Lincoln community in conversations about ways to provide Internet access in public locations throughout the city including public libraries. Chromebooks are only able to print using a protocol called “Cloud Print” created by Google. While Chromebooks are unable to print to any LPS printers, it may be possible that your home has a “Cloud Print” enabled printer. A far more likely (and simpler) situation would have students log into their “@class.lps.org” Google account from a home computer that has the capability to print to a printer in your home. As simple as it sounds, most Chromebook issues are resolved by restarting the device. For instructions on doing this, and steps to take if that does not resolve your issue can be found on our Chromebook Troubleshooting Tips page. If your Chromebook is damaged, a temporary “loaner” device will be checked out to the student while their device is repaired. Do not attempt to fix it yourself. Report the problem to appropriate school staff as soon as possible. A fine will be assessed for necessary repairs based solely on the cost of the parts required to return the device to a working condition. Additional information here. LPS offers the opportunity to participate in an optional LPS Chromebook Assurnace Program (CAP) designed to protect students and families from full financial responsibility for device repairs and/or replacement. Use the link provided to learn more about signing up, claims, coverage and benefits, and a schedule of repairs & fines. The “Messages” section of Synergy ParentVUE (left menu) contains messages sent from your student’s teachers directly to you, or to all parents of a class. (These messages will also be sent to the parent’s email address if one is listed.) Click the Subject title to read the message in the portal. View grades, assignments and test scores that have been posted by teachers in Synergy ParentVue. Click a course title to view all assignments given in that course. Click an assignment title for details and resource links. Report cards are also displayed within ParentVUE for a short period of time at the end of each term (current year only). If you have any questions about your child’s grade, please reach out to the teacher. It is expected that all teachers in LPS have a web footprint that parents and students can access. The degree to which teachers develop this web footprint will vary by role, grade level, content area, and need. Most teachers will create a class website (also known as an “LMS Page”) within Synergy. To access the LMS Page for your classes, look in the left menu of Synergy ParentVUE where you should see “Class Websites” as a menu item. Click that menu item and at the top of the page that loads is a drop-down menu where you can select the specific class you are looking for. Teachers may choose to use any one of a number of tools to supplement the Class Website offered in Synergy with additional content. The Portal is a listing of quick links to tools that LPS teachers are likely to be using with students. All of the items on this page have been through the LPS Instructional Technology Tools (ITT) review process. Learn more about the ITT process in the Digital Citizenship section below. The primary productivity tool for students and staff in LPS is the G Suite; a set of online communication & collaboration applications containing word processing, spreadsheets, slide presentations, drawing, email and other tools. These applications do not reside on the Chromebook itself, but are accessed through a web browser. The benefit of this structure allows flexibility in accessing documents and projects from ANY computer or mobile device with Internet access, at school, at home, or anywhere else. LPS has established a G Suite for Education domain (@class.lps.org) that allows LPS students & staff to use their LPS username and password to access an account that has been provisioned for them here. Visit our LPS G Suite for Education page for much more information. There are resources available that are appropriate for emerging readers all the way through college bound students, including read-aloud and translation features. For more information, visit the library web page found on your school building’s web site. 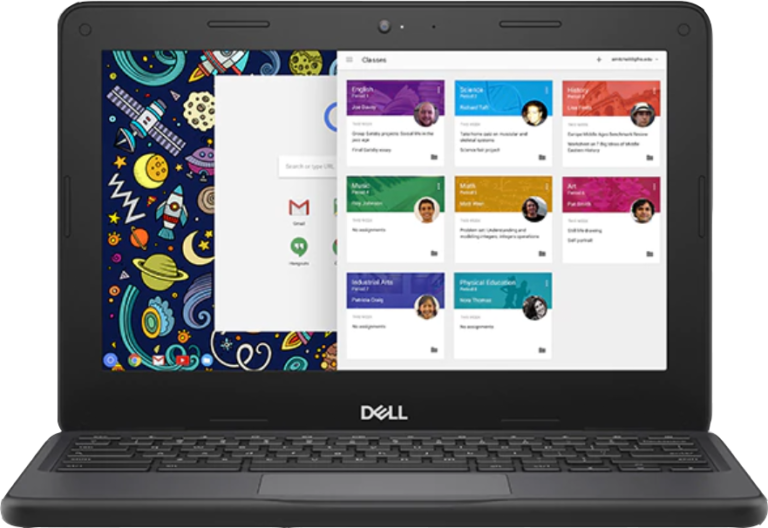 The expectations for Chromebook use varies by grade level, as you might imagine. Elementary students will be required to sign a Responsible Use Agreement (RUA) before a they use a Chromebook. Secondary students acknowledge the RUA upon signing into a Chromebook. The following resources are generally true, though each middle & high school will have variations that set expectations specific to their building. Clearly indicates to parents that their child will be using devices that can access the internet. Serves as the parent’s consent to allow LPS to manage which Instructional Technology Tools may gather Personally Identifiable Information about their child, per COPPA, FERPA, PPRA, and other Federal and State laws. Kids of all ages are swiping and scrolling, totally transfixed by screens of all sizes. If you have questions on how to take control of the technology in your kids’ lives, we recommend Common Sense Media’s ‘Parent Concerns’ web resources. Covering topics from social media to cell phones, body image to “haters & trolls” the advice they offer is shared from a place of understanding and concern for what’s best for kids. LPS desires that any Instructional Technology Tools (ITTs) that teachers select to use with students are safe for student use, support district learning goals, and encourage innovative learning. Want to learn more about our beliefs and selection criteria for digital tools used by students in LPS? See this link for additional rationale. Another LPS resource, called “The Matrix” catalogs applications, extensions, websites and other digital tools that have been reviewed by the District ITT Evaluation Committee. This matrix provides additional information connecting research-based instructional strategies, tool functionality and curricular connections. You should know that LPS also cares deeply about protecting our students DIGITALLY. These digital efforts are often less visible than our physical security efforts, so we wanted to take some time to increase parent awareness of these important measures that are happening in LPS every day. Student devices are subject to the LPS Internet filter both on and off of the LPS network. In other words, web pages viewed on the Chromebook are filtered by LPS no matter where the Chromebook is used, including your home. Your student will not be able to access anything on the Chromebook at home that they would not also be able to access from an LPS classroom. LPS uses software from a company called “ContentKeeper” to reference each web page address against a database of addresses that have been blocked. If the page exists in the database, it will not load on the Chromebook. There are many considerations associated with the configuration of the LPS web filter. For more information, visit this resource. If you have additional comments or questions, please use the LPS “Connect Now” tool to start a conversation about filtering policies in LPS. CloudLock is a tool that plays a number of roles in LPS’s Google domain. In an effort to ensure Federal regulatory compliance, the district uses CloudLock to provide data on the tools being used by LPS students and staff. This oversight also allows the district to protect students by limiting use of their LPS Google account to access only tools that have been approved. An equally important role CloudLock plays is to evaluate the content in Google Drive. CloudLock scans each user’s Google Drive with “rules” that identify inappropriate content (lewd language, indications of dangerous behavior, and bullying) as well as regulatory compliance (FERPA), data privacy, and information security. When a file in Google Drive is flagged by CloudLock, it will be reviewed by district staff. Computing Services has worked with instructional directors and security personnel to develop and implement the rules that CloudLock uses to evaluate Google Drive content and audit how it is shared. All screen time is not the same. There is a significant difference between “active” screen time in which students are engaged in focused acts of producing content, and “passive” screen time in which they are consuming entertainment media. Recently (Fall 2016) The American Academy Of Pediatrics released new recommendations around screen time for children. In the end, there is no one answer for what is best for all children regarding screen time. Instead, a thoughtful conversation is suggested around your family’s purposes for using media. The AAC offers an online tool for calculating media usage and creating a “personalized family media use plan” so that you can create goals & rules that are in line with your family’s values. Common Sense Media also offers thoughtful responses to many questions around the use of screens by children that may be a good place to start when considering how screens are affecting your child. If you feel that your student has been bullied, harassed or threatened, contact your school’s principal. Students can and often will be disciplined for material and substantial disruption of class. This course of action is determined by the school administration and LPS Student Services. LPS’ policies and regulations around bullying can be found here. Keep a record (including time and date, and screenshots if possible). This may help to determine who is sending the messages. Do not reply to bullying messages. Tell someone you trust: a parent, school counselor, social worker or teacher.